In this tutorial we will show how to configure standard Arduino IDE to use as Arduino ESP8266 IDE. 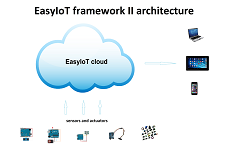 We reach our goal and build EasyIoT framework with standalone EasyIoT server on Raspberry Pi or computer. But can things be more simple? Is it possible to simplify architecture and build IOT in couple of minutes? 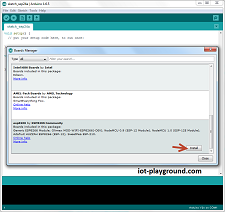 In this tutorial we will show how to use EasyIoT server MQTT client driver. 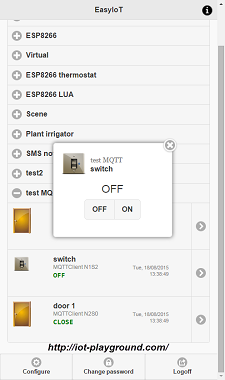 MQTT client allows to connect EasyIoT server to different sensors with standard MQTT protocol. New version of EasyIoT server V0.9 is out.